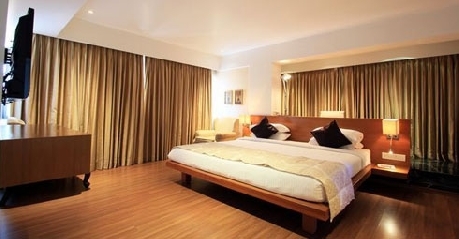 Located in the heart of Mangalore is Moti Mahal Hotel, the address for discerning travelers. It is a three star property that allows you have a staying experience like never before. It is a home away from home for those travelers who are looking for comfortable accommodation at affordable rates. Here, you will experience the luxury as well as comfort that you deserve. The hospitality and services that the hotel offers is second to none. Both business and leisure travelers can have great time here. 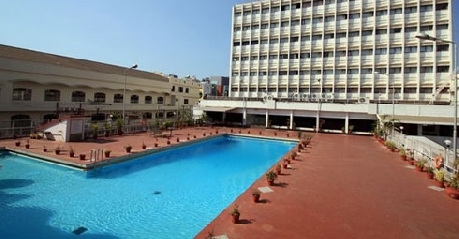 Excellent facilities that the hotel has to offer make your stay all the more memorable. All rooms here are well designed taken into consideration the fact that modern day travelers look for slightly more than comfort. You can be assured to have here some of the best moments. Warm and amicable staff makes sure that your needs are answered immediately. So, staying here lets you have a great time. There are 64 Standard rooms that are categorized into single and double rooms. There is no difference between two rooms except for the single and double rooms. 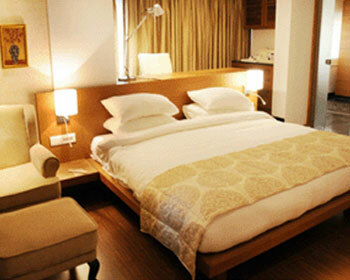 These rooms have excellent ambience catching the fancy of both business executives and families. Modern amenities and elegant interiors add to the overall décor of these rooms. Some of the basic amenities are laundry service, doctor on call, tea or coffee maker, access to high speed internet, a tea of coffee maker, television with cable channels and running water supply. 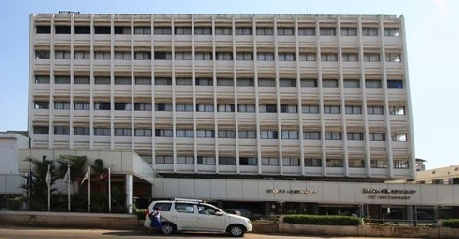 The hotel offers 15 Non AC rooms to its guests who are looking for similar service. All rooms under this category come with several attractive features except for the installation of AC. There are many guests who look for such rooms for stay. Facilities that you can get to enjoy staying here are laundry service, access to the internet, television with cable channels, doctor on call, safety deposits and a work desk, to name a few. Executive Doubles Rooms are the option for many of those travelers who are seeking comfortable stay. 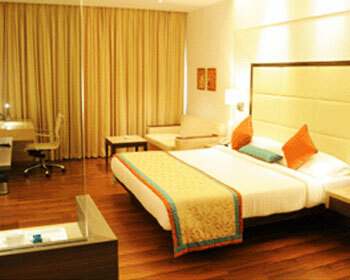 There are 11 such rooms and are preferred mostly by families who are in the city for vacationing. Elegantly decorated and placed with stylish furnishings, these rooms have everything one looks for accommodation. Some of the most common facilities that you can get staying here access to high speed internet, doctor on call, safety deposits, television with cable channels and running water supply. All rooms under this category are well furnished and decorated with basic as well as modern amenities that travelers look for. 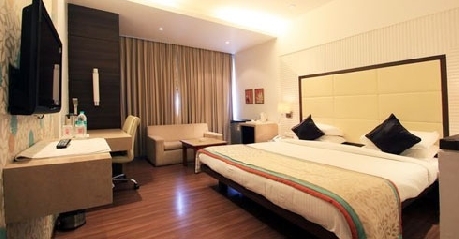 Spacious and well equipped rooms make your stay memorable. Doctor on call, laundry service, air conditioning, access to the internet, safety deposits, television with cable channels and running hot and cold water supply are some of the most common features of these rooms. There are 23 Moti Suites each offering visitors an amazing experience. When you decide to stay here then you can be assured to have great time as these are designed and decorated with elements that enhance the entire ambience of the rooms. If you decide to stay here then you can enjoy some of the best moments. Some of the most common facilities that you can get to access are doctor on call, a mini bar, a coffee or tea maker, laundry service, internet access, running hot and cold water supply and work desk, to name a few. Excellent furnishing and unique style is what makes Presidential suites apart from others. When you decide to stay here then you can be assured to have an experience that is similar to royal living. There are 4 presidential suites each having warm interiors, stylish furniture and facilities that add to your overall living experience. Access to high speed internet, running hot and water supply, attached bathroom with designer toiletries, laundry service, a mini bar, a work desk, safety deposits and doctor on call are some of the most common facilities associated with these suites. 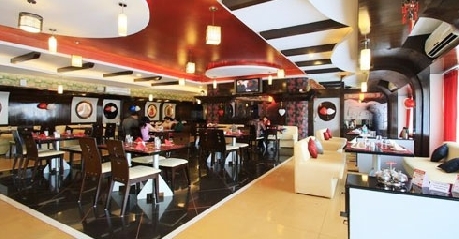 It is a multi cuisine restaurant offering a range of delicious dishes to all its guests. No matter for which cuisine you are having craving for, in all possibilities, you can expect it to get here right under one roof. 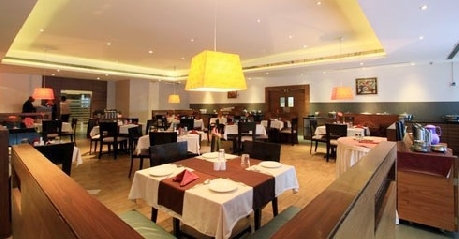 There are eighty covers and the entire ambience lets you have a great dining experience. Elegant décor and warm interiors allow you have some of the best moments here. If you are one of those guests who is having fancy for drinking then Mehfil is the address for you. Relax and unwind here after having some of the best moments here. Here you can choose from a range of alcoholic beverages, mocktails and cocktails. Centrally air conditioned bar offers a range of choices in both foreign and domestic liquors. Unwind here after having a tiring day. It is the coffee and pub shop where you can enjoy some of the finest range of drinks. Cozy and warm interiors allow you to have some of the best moments here. Come and indulge in an experience like never before when you are in the city. Moti Sweets is the destination for discerning travelers who are looking for sweets, confectionary items and fresh bakery products. It is one of the most preferred destinations for many who are looking for purchasing some of the finest range of bakery and sweets.